"I AM" is film #3 in the Compathos Film with Social Impact fall series, as we continue to explore the intersection of socially responsible enterprise with purposeful art, film and media. This documentary was created by Tom Shadyac, director of comedic blockbusters (Bruce Almighty, The Nutty Professor, Ace Ventura: Pet Detective). Tom's new film was inspired by a personal accident which caused him to seek the meaning of life and question the "American Dream." Tom interviews 18 renown sages, scientists, thinkers and doers in his quest to find another side to human nature. As we examine our culture of consumption and find new paradigms of connectedness and kindness, we will be truly richer for it. I am (no pun intended) fascinated by "life 180 stories" - stories of how people's life direction suddenly shifts by a personally transformative experience - a.k.a. wake up call. Despite Shadyac's huge professional and financial achievements, something was amiss. Isn't success equated with happiness? On one hand, the film depicts Tom's dramatic "180." But what if it also signals a potential "180 change of direction" on the horizon for the entertainment industry? I'm not holding my breath and of course it's too early to tell, but the time for asking "how is what we are communicating effecting our audiences?" is long overdue. Nothing escapes the entertainment industry's ubiquitous reach through satellite, cable, and the Internet as the American consumer culture and its entertainment products are exported worldwide. Long criticized for a culture of irresponsible excesses, the entertainment industry typically majors on portraying the lowest common denominators of culture (superficiality, consumerism, dysfunction, violence, sexism...) rather than the highest. At the same time, various channels of indie and mainstream media are delivering messages about the critical issues facing us: the environment, energy, waste, water, hunger, poverty, wealth disparity, and more. At a moment in history of both crisis and unprecedented opportunity, I AM asks "What keeps causing these cycles of bad behavior, of destruction and despair? Is there a fundamental endemic cause to the world's problems? And if there is, what do we do about it?" 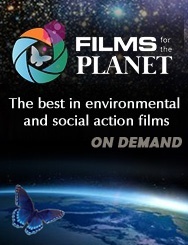 Beautifully made with warmth, insight, wisdom and humor, this film inspires a deep inner shift while capturing the important global shifts necessary for the times in which we find ourselves. Refreshingly hopeful with something for everyone - from the "choir" to the mainstream --"the shift is about to hit the fan." Director Tom Shadyac will be joining us in person, October 15, for the San Francisco premier screening of I AM hosted by the Compathos Film with Social Impact Producer and Director Series and the Hub in San Francisco. The Hub is the nexus point of entrepreneurship, funding, and mission. It is a place where non profit and for profit social change ideas build and scale into viable enterprises that address the complex problems we face, from poverty to climate change, for people and planet. Change agents find the support they need at the Hub to reach their goals faster, surrounded by a community that makes everyone smarter and more effective -- the Hub is where change goes to work.